What is the best kind of salt for your health? The most common salt we've probably heard of and grown up with is "Table Salt". This type of salt has usually been baked, bleached, and processed to a point where only sodium chloride remains. In large quantities, sodium chloride has been linked to irritation of the gastrointestinal tract, vomiting, hypernatremia, respiratory distress, electrolyte imbalance, irritability, weakness, convulsions, and death (2009). Sounds a bit terrifying to think that the salt sitting on most of our tables could induce some of these effects. 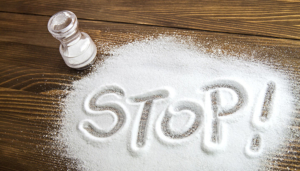 All of the studies do emphasize that these symptoms occur when high doses are consumed, but in America in particular, the consumption of salt is relatively high and something that is ingested multiple times a day. Where do we get most of our salt intake? It's important to note that perhaps the type of salt we use at home is a step in the right direction but it isn't the main issue. As Dr. Mercola points out, "More than three-quarters of the salt in the average American diet comes from processed foods." The salt that is used in these processed foods is also highly processed and unnatural. 90 percent of the money most Americans spend on food is for processed foods, and every one of these foods is loaded with unnatural salt." Who wants that? Nobody I know. So if the table salt we've been sold isn't the best for us, what is? I'm glad you asked. There are a few options that have been found very beneficial for different reasons. Click the image for a list of some of the healthiest salts! 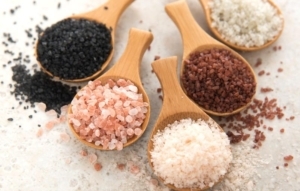 Dr. Frank Lipman is a huge advocate for Himalayan Pink Salt. Why? "Because unlike some sea salt, which can come from polluted waters, Himalayan crystal salt is considered to be the highest, purest grade salt on earth, free of impurities and pollutants, and loaded with more than 80 health-supporting minerals that your body can easily absorb. Not surprisingly Himalayan salt will be pricier than your usual table salt, so use it sparingly, treat it like the precious treat that it is — and enjoy!" What are some things to look for when buying your salt?